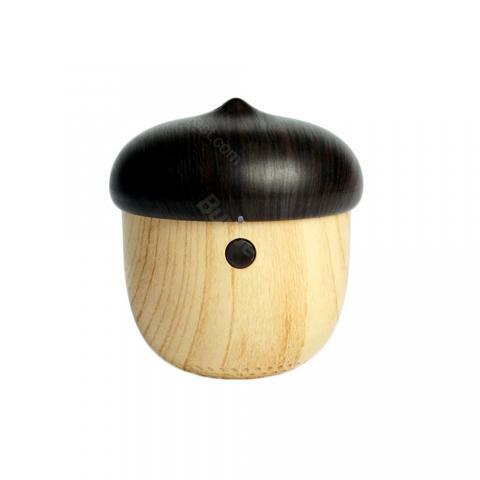 Portable Rechargeable Wooden Mini Wireless Bluetooth Nut Speaker with Sling, The top has a short black Sling with which you can hang the Bluetooth speaker wherever you like, plus the mini shape make it ultra-portable to use. Portable Rechargeable Wooden Mini Wireless Bluetooth Nut Speaker with Sling, The top has a short black Sling with which you can hang the Bluetooth speaker wherever you like, plus the mini shape make it ultra portable to use. My kid loves this Bluetooth speaker and listen tales one by one at night. I think the wood nut speaker is not suitable to use in moisture atmosphere. Probably easy to distort. Other than that, the speaker performs great. The craftsmanship is refined and the speaker touches smoothly. Sooooo lovely nut design. My two kids love it very much. They often quarreled and cried who should play with this fond speaker. Decide to buy another one. My daughter can't leave her hands off the adorable speaker every day. The mini speaker works great! The stereo effect is pleasing to ears. Thanks buybest for offering such quality gadget. A functional decoration used in my car. LOL. Love this lovely Bluetooth speaker. Fast customer service, fast delivery.